Throughout their 35 year history, the Edmonton Oilers have drafted a number of excellent players, many of which have gone on to be inducted into the Hockey Hall of Fame. Amongst them are the likes of Glenn Anderson, Paul Coffey, Grant Fuhr, Jari Kurri and Mark Messier. 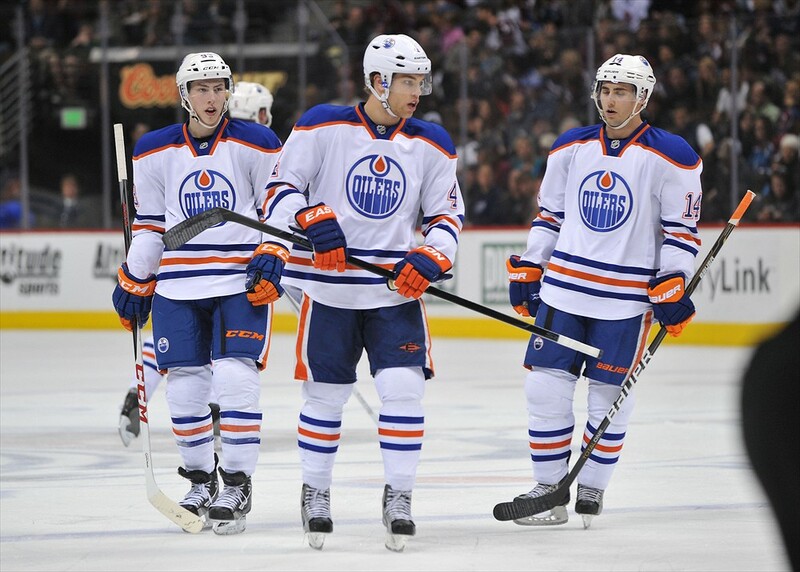 More recently, the Oilers have been fortunate enough to draft a number of highly skilled young players, resulting largely from many poor seasons in recent history, players such as Taylor Hall, Jordan Eberle, Ryan Nugent-Hopkins, Nail Yakupov and Leon Draisaitl. However, there are also a number of players selected by the Oilers in higher rounds of the draft which have unfortunately turned out to be absolute busts. Selected by the Edmonton Oilers in the first round, 15th overall in the 2002 NHL Entry Draft, center-man Jesse Niinimaki did not play a single NHL game throughout his entire professional hockey career. At 6 foot 2, 200 pounds, Niinimaki had excellent size for a center-man and had played his junior hockey with Ilves Tampere of the Finnish SM-liiga. Following his first season with Ilves Tampere, the Oilers made their selection, as Niinimaki had scored two goals and six points over 16 games. However, over his next three seasons, Niinimaki’s play regressed heavily, and he managed to score a mere 11 goals and 31 points over his next 69 games played. Following a short 24 game stint in the American Hockey League, in which he scored one goal, Niinimaki returned to Finland where he has since played out an average hockey career. Those drafted after Niinimaki include Duncan Keith, Alex Steen and Jay Bouwmeester. Alexei Mikhnov was drafted 17th overall by the Edmonton Oilers in the 2000 NHL Entry Draft. A left winger, Mikhnov stood a massive 6 foot 5 tall, while he weighed in at 220 pounds. Despite his terrific size, Mikhnov played only two NHL games in his career. Selected from Yaroslavl Torpedo, a now defunct Russian Elite League team, Mikhnov played an additional seven seasons in Russia before finally joining the Oilers in 2006-07. Following his brief NHL stint, Mikhnov returned to Russia, where he has since played eight seasons in the Kontinental Hockey League. In terms of other players drafted after Mikhnov, there are plenty, including Marian Gaborik, Justin Williams, Brooks Orpik and Nicklas Kronwall. Drafted in the first round, 13th overall in the 1998 NHL Entry Draft, Michael Henrich was a 6 foot 2, 210 pound defenseman from the Ontario Hockey League. Henrich was an elite defender during his OHL days with the Barrie Colts, where he scored 126 goals and 244 points in 246 career games, including two 38 goal seasons as well as one 41 goal campaign. However, despite his size and incredible skill, Henrich failed to transition his game from the junior to professional level. Following four highly uneventful seasons in the AHL, Henrich took his game to Europe, where he played for various teams throughout Germany, Italy, Austria and even Great Britain. Henrich was the only player selected in the first round of 1998 who failed to play an NHL game, while players such as Brad Richards, Robyn Regehr and Pavel Datsyuk were among later selections. Chosen by the Edmonton Oilers 17th overall in the 1990 NHL Entry Draft, Scott Allison was a 6 foot 4, 210 pound winger who, like Niinimaki and Henrich, failed to play a single NHL game. Selected from the Prince Albert Raiders of the Western Hockey League, Allison spent two and a half seasons in Prince Albert, as well as one with the Portland Winter Hawks and another with the Moose Jaw Warriors. In total, Allison scored 75 goals and 167 points in the WHL, while he added 510 Penalty Minutes. Following his junior career and four underwhelming seasons in the AHL, Allison spent time in the International Hockey League, the British Ice Hockey Super League and the Central Hockey before retiring in 2005. Those selected after Allison include Keith Tkachuk, Doug Weight and Martin Brodeur. Selected in the first round of the 1997 NHL Entry Draft, 14th overall, Michel Reisen was a 6 foot 2, 185 pound winger who played his junior hockey with the Biel of the Switzerland National League. After his draft year, Reisen played with the AHL’s Hamilton Bulldogs for three seasons where he enjoyed solid success, including campaigns of 29 and 26 goals, respectively. In 2000-01, Reisen suited up for 12 games with the Edmonton Oilers, recording one assist. However, this was the last the Oilers would see of Reisen, who returned home to Switzerland for good the following season, where he played eight seasons with Davos, a top Swiss-A League team, as well as four with Rapperswil-Jona. Among those selected following Reisen in the draft include Roberto Luongo, Brenden Morrow and Brian Campbell.